How are you all doing? I'm doing alright can't complain. Okay I'm lying. I can complain. It's really hot lol. I'm one of those people who cant be too hot or too cold. I need a neutral zone. 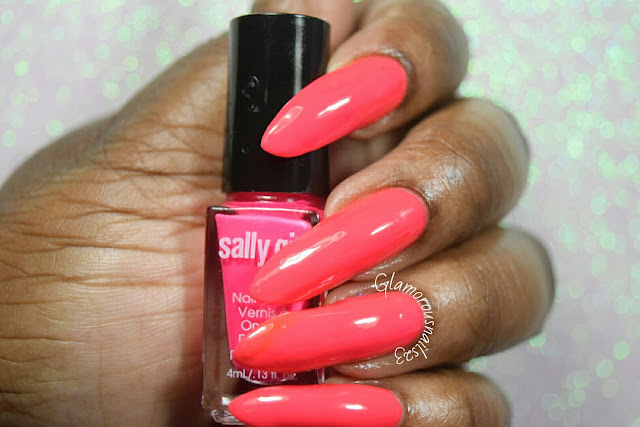 Today I have another polish from Sally Girl to share with you. This polish I believe is Sally's Beauty brand that obviously you would only be able to purchase there. Cool is a bright neon pink creme polish. Isn't this such a girly color? I think that it would look lovely as a pedicure as well! The formula was smooth with good coverage. As with most neon polishes this one did dry matte so you will need a nice glossy top coat to help give it some extra shine! I really like this one. It's fun for anytime of the year. Shown is three thin coats with a top coat. What do you think of this polish? 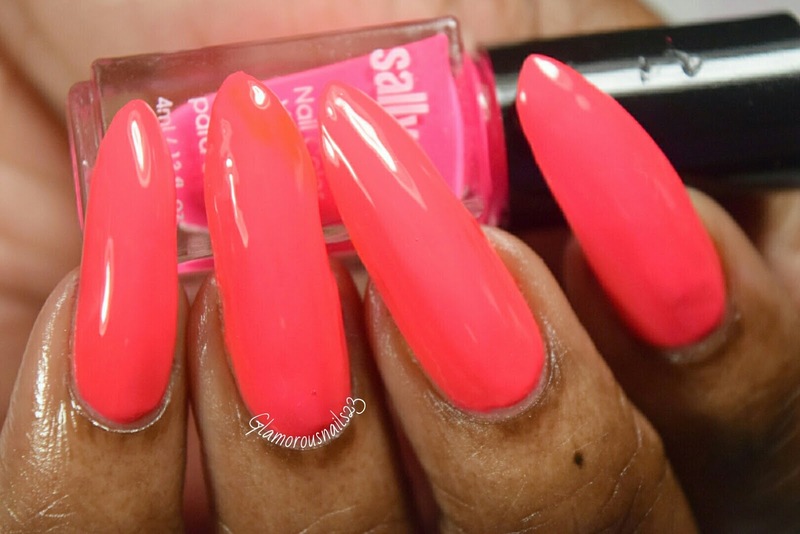 Do you own any polishes by Sally Girl? Any recommendations? Let's chat polish down below! what a gorgeous shade- I love it! It is very pretty! Thank you Fife!! This color looks so good on you!! !